GB Why did you choose these cymbals? GB Spizzichino said that he didn’t want his cymbals to sound beautiful, it was more important that they sound unique. SP He also said that as you play them more they live, they change. These cymbals aren’t clean. They’re much more ambiguous than that. When you hit them you get a warmth of tone that affects everything you’re playing. It’s hard because you can sound imprecise if you’re not careful. I suppose my relationship to drumming has always been as much about tone and colour as it has about rhythm. GB It’s an interesting choice for someone whose daily life is so intellectual. Is drumming a kind of escape? SP Well there is the removal of language that attracts me. And there’s a sort of phoney sophistry to the world of literary publishing. Playing the drums makes me feel like a teenager in the Midlands again. It makes me feel like I did at a point in my life when I was free of any idea of myself. Something beyond the construct of adult life. GB Does the word Beauty come up much in your work? SP Yes of course. If you publish poetry there’s an aesthetic – not just to the use of language or to the intent, or to the life of a poet, it’s to the object we make, the manner in which we put the words on the page. And you deal with artists who work with the written word as well as with the sound and performance of it – who may also be very particular about the way the words appear on the page. So at the heart of Faber there’s an engagement with a form of publishing that has a powerful relationship with beauty and how things look. E-book has almost entirely failed to penetrate poetry so far, whereas it’s taken over romance. The reason for that is simply that the object holds its place stubbornly because it’s related to the endeavour. There’s beauty in the endeavour in all its difficulty. SP Well I think it’s that essential difference between prettification or attraction and something which seems to stand out exceptionally in the world. There are notions of beauty that are very still and perfect but I wouldn’t say I’m looking for that. 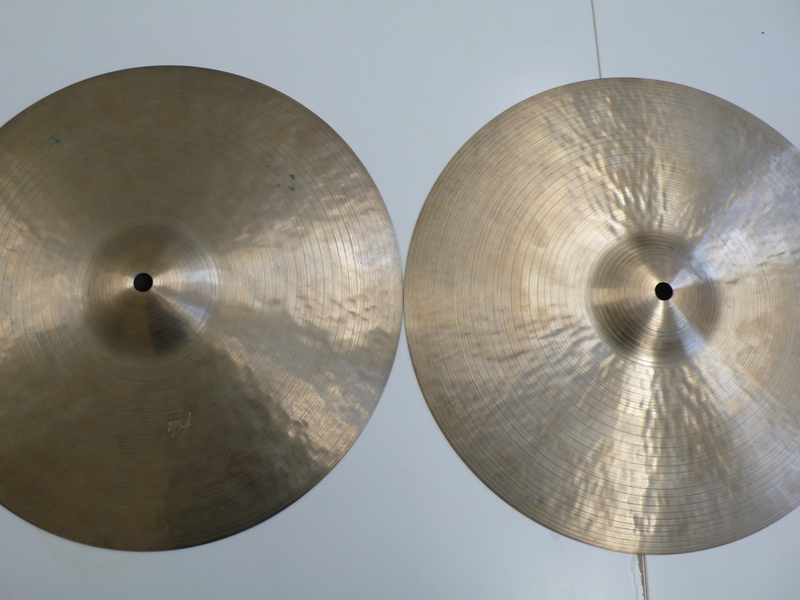 Why are these cymbals beautiful to me? They have a kind of organic allure, a perfection in their individuality. And for me there’s beauty in the human endeavour of actually bothering to make them, in the desire of Roberto Spizzichino to spend his life in the woods of Tuscany hammering out cymbals.